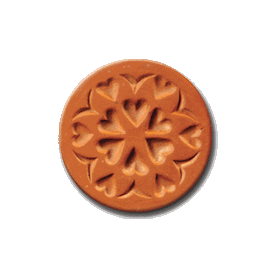 The Cornucopia Cookie Stamp is a 2″ terra cotta stamp that can be used for both crafts and baking. They’re easy to use and very kid friendly too. The Cornucopia is a symbol of Nature’s Fall bounty, one of the reasons we first started celebrating Thanksgiving. The Holidays are a busy time, and we’d like to help with that. 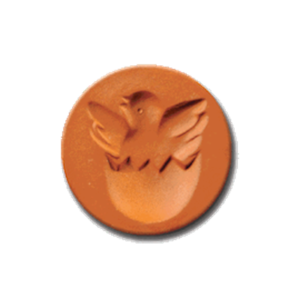 You can craft well ahead of the Holiday, making paper castings to use on invitations & place cards. 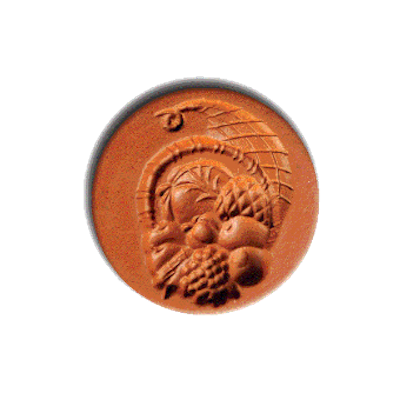 When time runs short, you can also make a simple four ingredient cookie recipe, roll the dough into 1″ balls and stamp with the Cornucopia stamp. 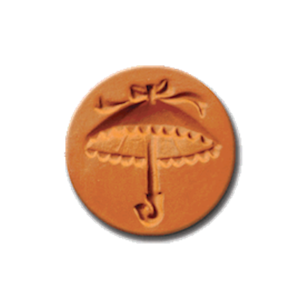 You’ll have dozens of beautifully imprinted cookies ready in a matter of minutes. We’re thankful for you – thanks for stopping by!